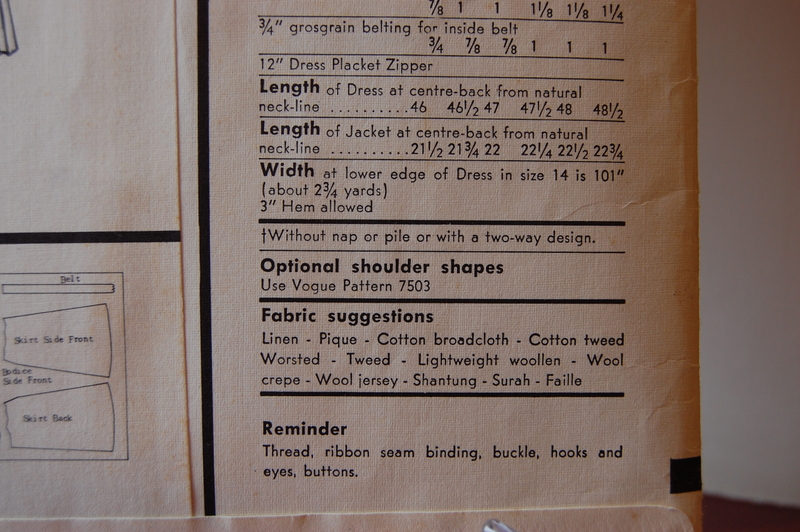 Any serious dressmaker working in the 1950s must surely have known this four-digit number by heart. 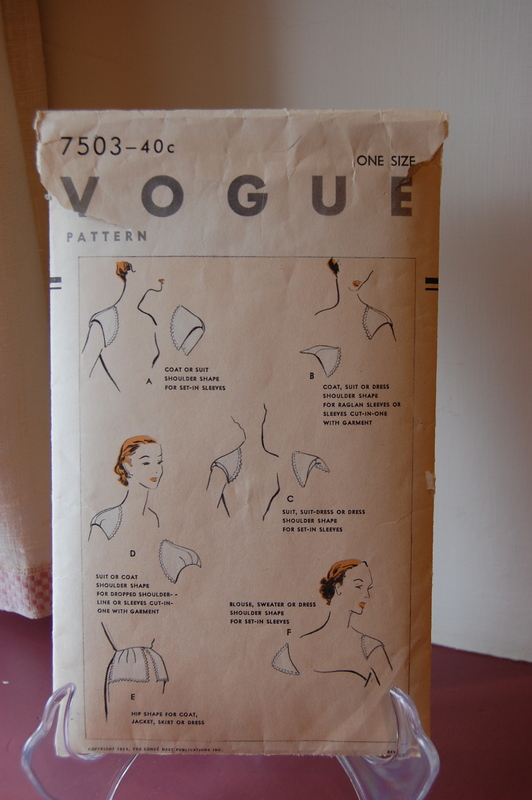 This was the number of the Vogue pattern for “shoulder shapes,” what we now call shoulder pads (more on that nomenclature in a minute). 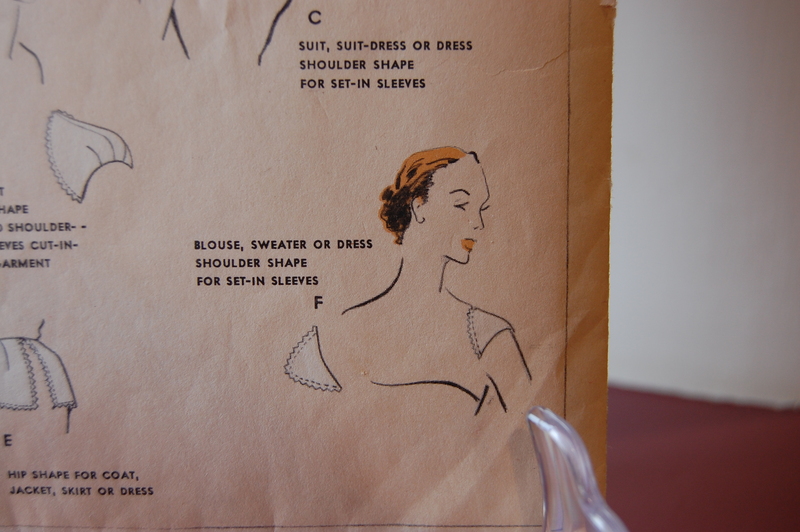 While 1940s’ fashion was dominated by the broad shoulder look, not so the 1950s’ – and that is what is so clever – and remarkably useful – about this pattern, which has a copyright date of 1953. However, I am getting ahead of myself. I first learned of Vogue 7503 when I purchased this dress pattern from an online shop called “Stitches and Loops” last Spring. 1 – My copy is actually copyrighted as Revised 1953. It is unprinted! 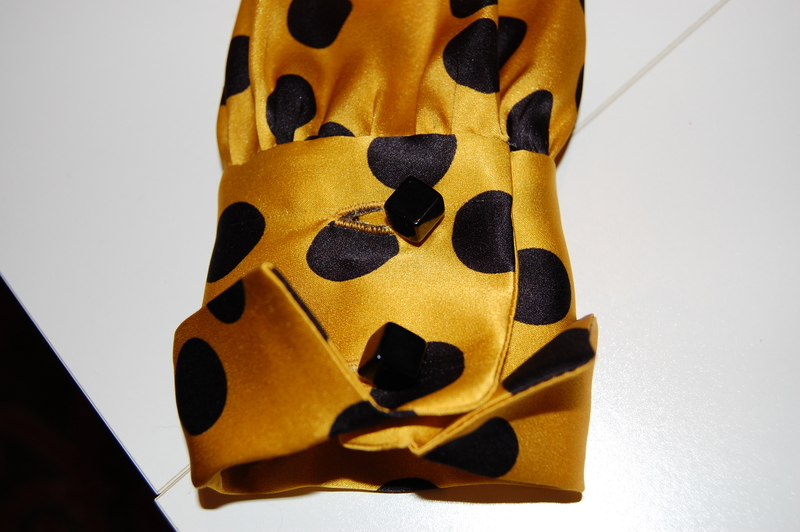 Those of you who follow this blog know that I’m not a fan of unprinted patterns, but this is a little different. For one thing, the pattern pieces are all small, the directions simple, and each piece can easily be copied onto pattern tracing paper, where I can make all the notations I want. 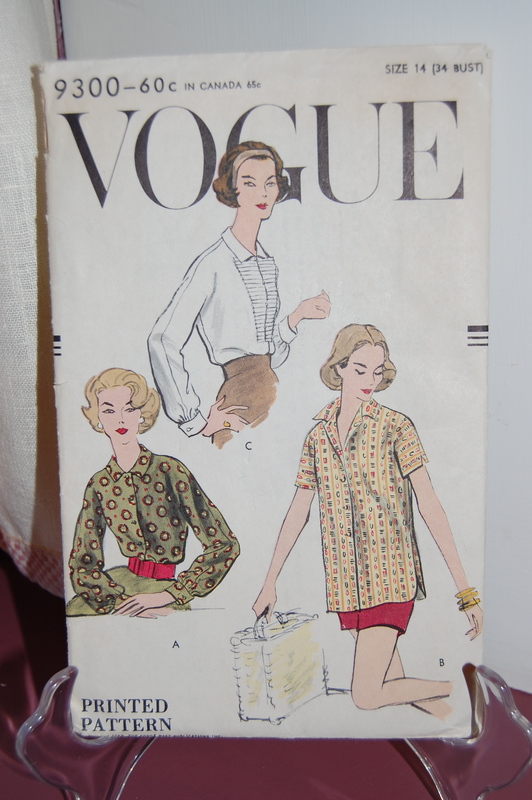 Interestingly, I have since seen this pattern for sale in its 1957 printed and perforated version, so obviously The Conde Nast Publications, Inc. was keeping up with demand. 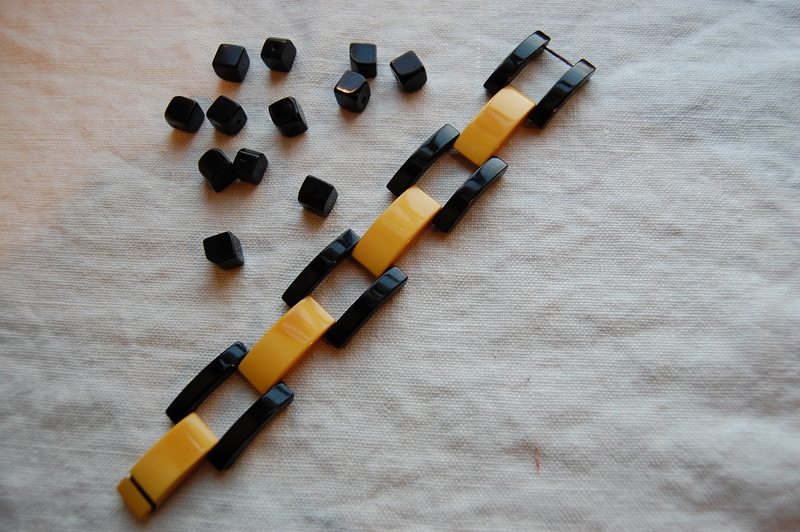 2 –The term “shoulder shapes” is so much more precise and useful than “shoulder pads”, as that is what these mini-creations do – they help to shape the shoulder line. 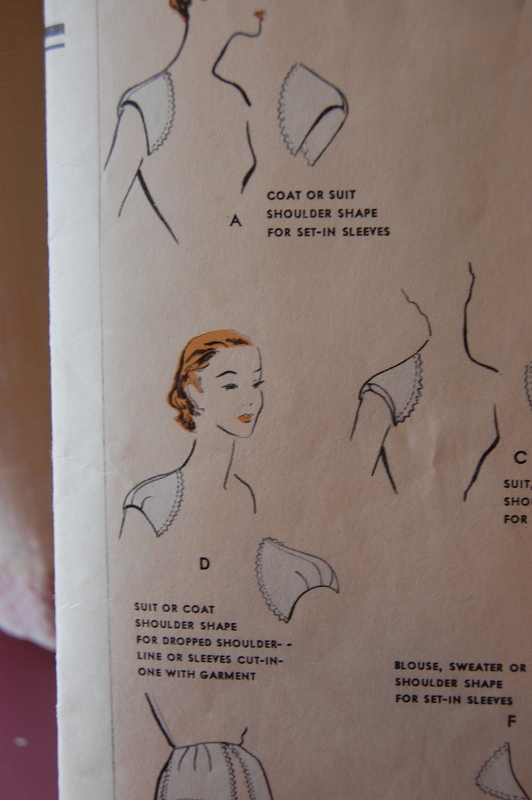 I’m not sure why the term “shoulder shapes” was replaced by “shoulder pads.” Patterns from 1958 still referred to “shapes,” but by 1959, they were being referred to as “pads.” I guess it’s a minor thing, this particular “nomenclature,” but put me in the “shapes” fan club. 3 – Finally – the remarkable versatility of this pattern becomes apparent when you take the time to look closely at the pattern envelope. 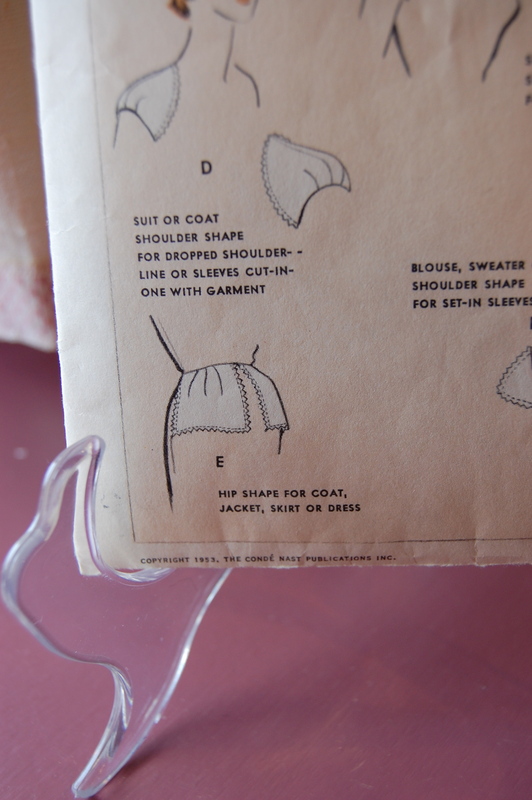 Here you can see all the versions of shoulder shapes for different applications: for coats and suits with set-in sleeves (two variations); for a coat, suit or dress with raglan sleeves or sleeves cut-in-one with garment; for suits and coats with a dropped shoulder line; and for blouses, sweaters or dresses with set-in sleeves. 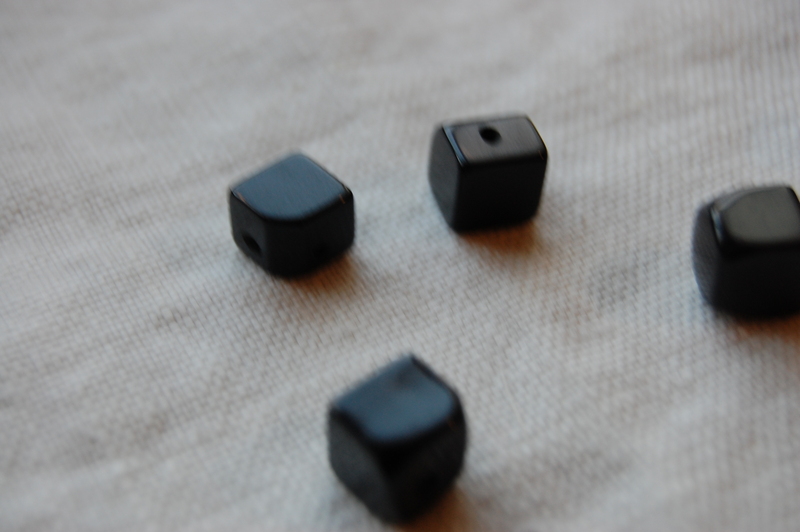 Here is a close-up of two variant shapes for use with coats and suits. 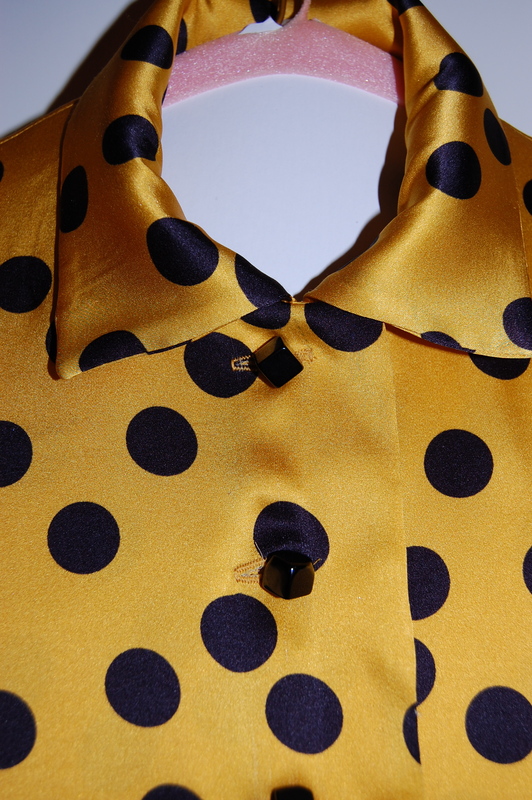 Notice the extra darts in View D, which add a gentle slope to the shoulder line. 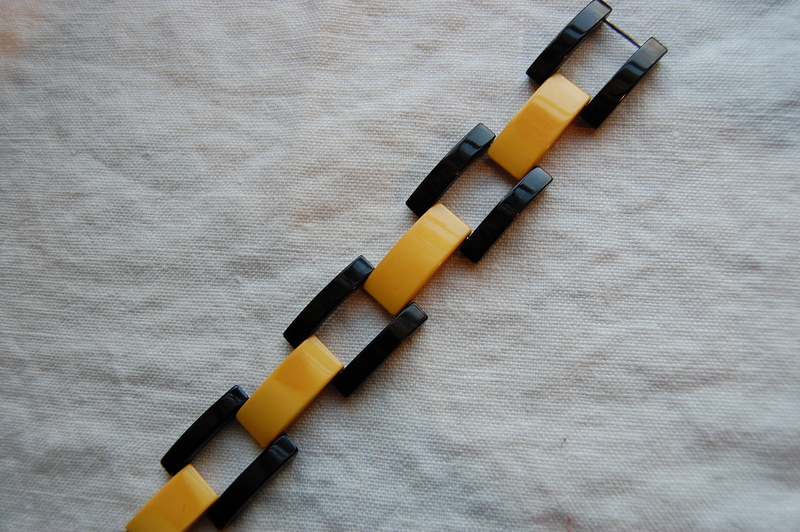 Here is a very simple - "just enough" - shape for blouses, sweaters and dresses. Hip shapes - for those who need it! 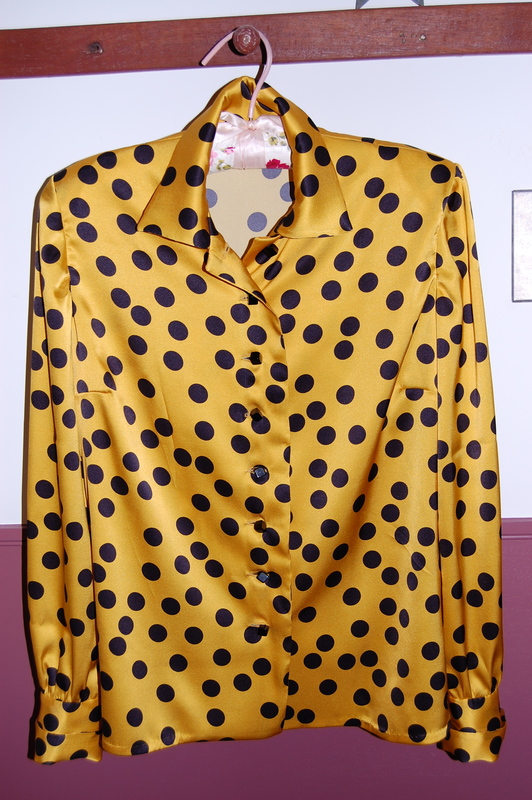 I have “view F” cut out for the silk blouse which I am currently sewing – and now that I have this clever pattern, I doubt I will ever again use a purchased shoulder pad – oops, I mean shoulder shape. Who has time for Resolutions when there is so much to be sewn? Since my last post (before Christmas), my sewing room has gone from being Santa’s Workshop, wrapping station extraordinaire, and gift hiding space … back to SEWING ROOM (the seriousness of the subject demands the capital letters!). All those satiny ribbons, and empty boxes (where can be found the occasional prickly tree needle or left over tissue paper), and straggly ends of wrapping paper rolls are all properly stored away for Christmas 2012, and all my sewing projects just marched out from the closets, jumped up on my work tables and are demanding attention – which I am only so happy to give! 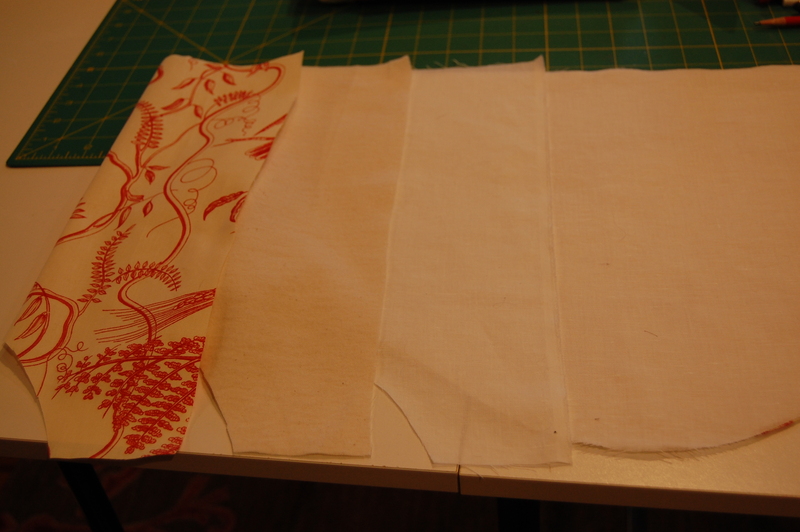 I have all the fabric panels and valances cut and ready to sew. To make the pattern for the valances (these hangings will be structured ones rather than the more informal ones with gathered valances), I traced the scalloped headboard of our bed. I copied the design exactly for the valance for the foot of the bed and added two more “scallops” to make the side valances fit the longer length properly. This photo shows the scalloped design copied from the headboard of our bed. 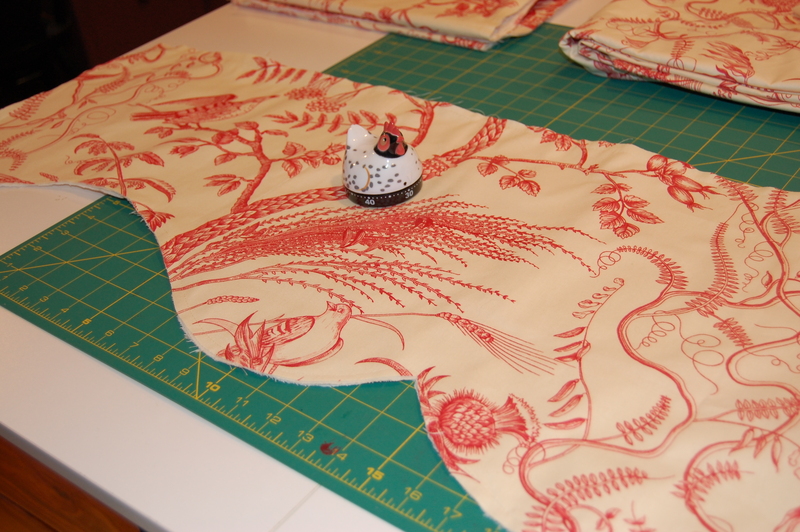 I have cut out yards and yards of bias tape in a lovely red linen blend and will be hand-applying this tape to the three finished sides of each valance. 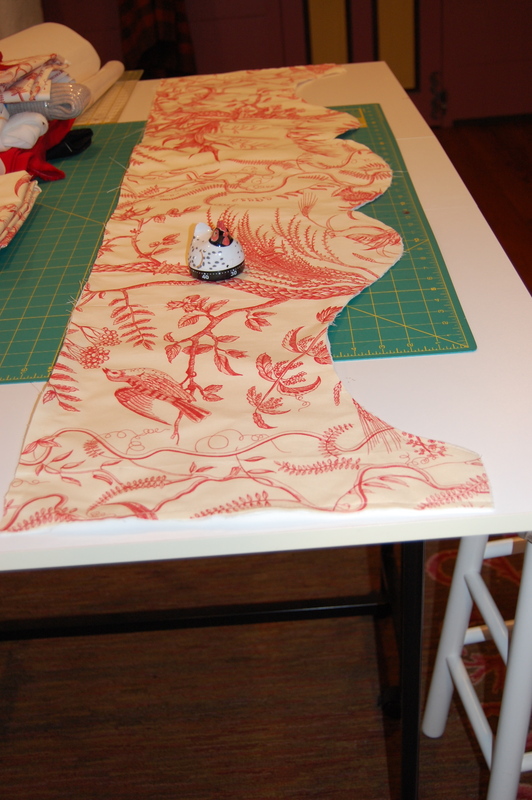 I know it has to be hand-sewn to look right, so beware – I may be blogging from the funny farm before I get all this done. Because I don’t enjoy making curtains, bed hangings, pillows and such, as much as I enjoy dressmaking and personal sewing, I fit these projects in, in smaller segments of time. My most successful trick is setting my “chicken” timer (thank you, Barby R. for giving it to me!) for 45-60 minutes once every day or two and devoting that time to these projects. It’s amazing how much I can get done this way and it’s never overwhelming or too boring. Here is my trusty chicken timer sitting on her big project! 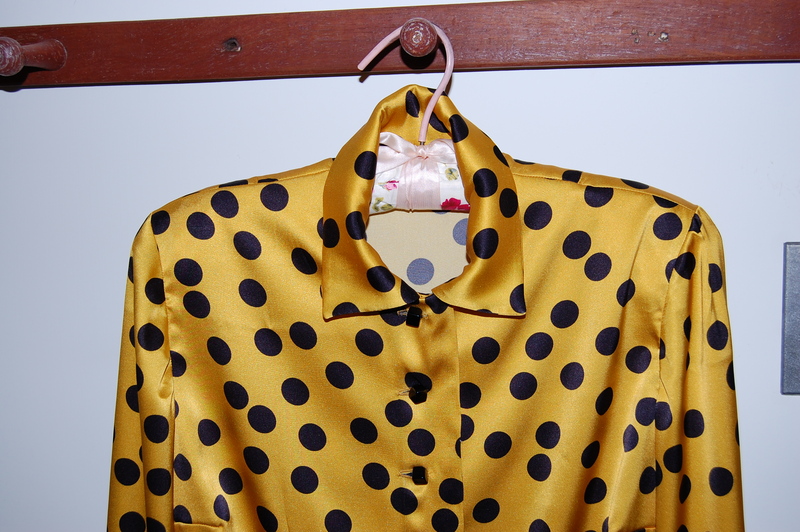 I purchased this 1957 pattern, thinking that View A would make up well in the polka dotted silk fabric. 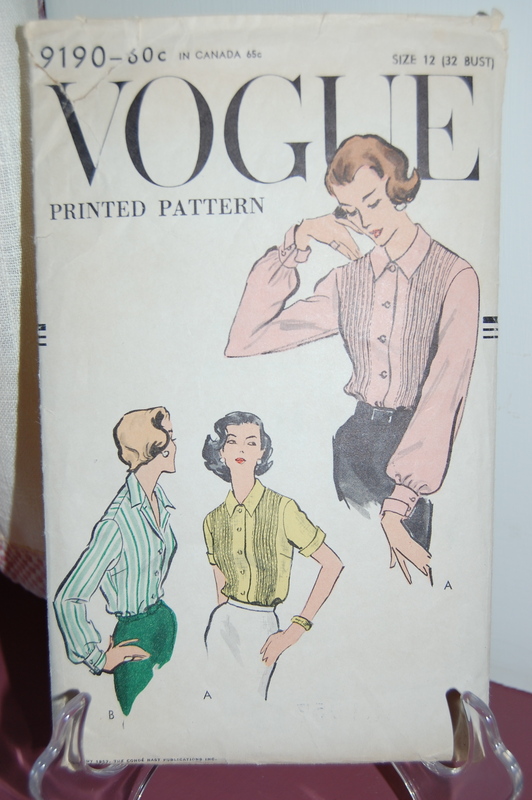 This pattern is also from 1957. I love the tucks in the pink version, but they would not be appropriate to use with a polka dotted design. View B is constructed without tucks - perfect! It has set-in sleeves, which I like; very petite French cuffs, which I love; a few darts to make the fit a little tidier; and it was available in my size, which takes some of the guess-work out of it. The only thing I don’t like as much is the collar, which has a longer point than I want. 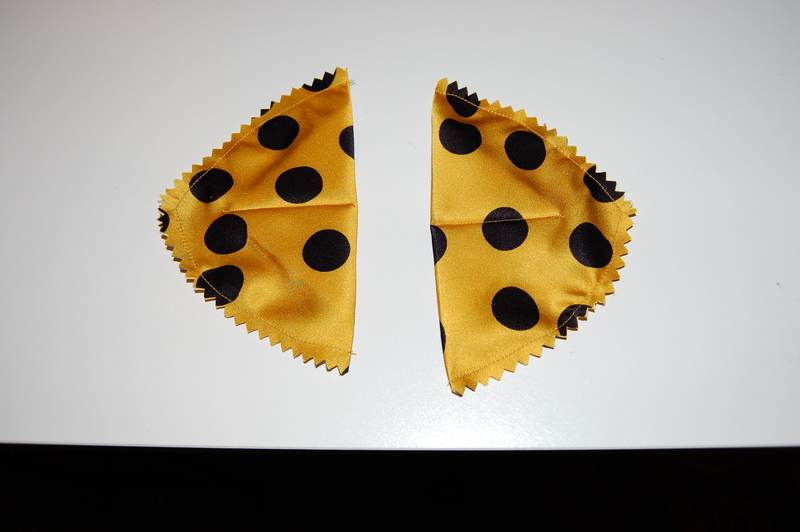 To fix that, I overlaid the one collar pattern on the other one and drew a new collar. Voila! I am ready to cut it out. 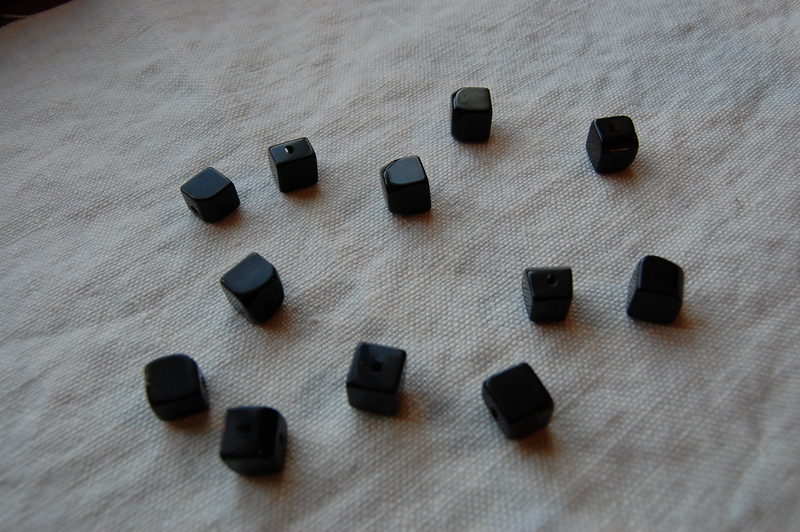 And – Yes, I actually do have some Resolutions for 2012 (besides all the normal ones). For one, I’m going to use my chicken timer to help me get my kitchen cupboards and pantry shelves all cleaned and reorganized. Cluck, Cluck!